Sirach. New Collegeville Bible Commentary, Old Testament, vol. 21. Collegeville: Liturgical Press, 2013. Ben Sira’s Teaching on Friendship. Brown Judaic Studies 316. Providence: Brown Judaic Studies, 2002. Emotions from Ben Sira to Paul. Co-edited with Renate Egger-Wenzel. DCLY 2011. Berlin: de Gruyter, 2012. Rewriting Biblical History: Essays on Chronicles and Ben Sira in Honor of Pancratius C. Beentjes. Co-edited with Harm van Grol. DCLS 7. Berlin: de Gruyter, 2011. New Perspectives on the Nativity (editor). London/New York: T&T Clark, 2009. Studies in the Greek Bible. Co-edited with Vincent Skemp. CBQ Monograph Series 44. Washington, DC: Catholic Biblical Association of America, 2008. Intertextual Studies in Ben Sira and Tobit. Co-edited with Vincent Skemp. CBQ Monograph Series 38. Washington, DC: Catholic Biblical Association of America, 2005. Prayer from Tobit to Qumran. Co-edited with Renate Egger-Wenzel. DCLY 2004. Berlin: de Gruyter, 2004. “Sirach Chapter 2 and the Temple,” in Various Aspects of Worship in Deuterocanonical and Cognate Literature, ed. Ibolya Balla, Géza G. Xeravits, József Zsengellér. DCLY 2016/2017. Berlin: de Gruyter, 2017. Pp. 76-105. “Arboreal Metaphors and Botanical Symbolism in the Theodotion Susanna Narrative,” in: The Metaphorical Use of Language in Deuterocanonical and Cognate Literature, ed. Markus Witte and Sven Behnke. DCLY 2014/2015. Berlin: de Gruyter, 2015. Pp. 125-52. “Psalm 110(109) and Israelite Royal Ritual,” Salmanticensis 64 (2017) 41-71. “Divine Creation and Human Mortality from Genesis to Ben Sira,” Irish Theological Quarterly 81 (2016) 343-61. “Friendship in the Hebrew Wisdom Literature,” in Proceedings of the Irish Biblical Association 38 (2015) 27-51. “Tripartite Creation in Sirach 16:26–17:4,” Studia Biblica Slovaca 7 (2015) 155-84. “Judith,” in T&T Clark Companion to the Septuagint, ed. James K. Aitken. London: Bloomsbury T&T Clark, 2015. Pp. 222-36. “Elements of Jewish Identity in Ben Sira,” Biblische Notizen 164 (2015) 3-19. 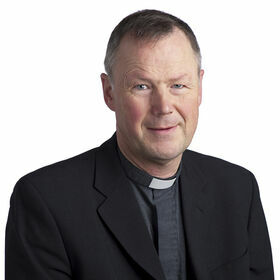 Priest of the Diocese of Portsmouth (UK), ordained in 1987. Studied Hebrew at Oxford University (BA/MA) and Theology at Oscott College, Birmingham. Curate at St Joseph’s Church, Aldershot (1987-92). Doctorate in Biblical Studies (1992-96) at the Catholic University of America, Washington, D.C. Parish Priest, St Joseph’s Church, Newbury (1996-98). Lecturer in Scripture at Ushaw College, Durham (1998-2011). Member, Executive Committee of Catholic Biblical Association of Great Britain (1998—2011; Chair 2004-2006). Member of Catholic Biblical Association of America. Member of editorial board of Catholic Biblical Quarterly (term 2012-2019). Vice-President, International Society for the Study of Deuterocanonical and Cognate Literature, Salzburg (2003—present). Unlocking the Gospels: Five Keys for Biblical Interpretation [booklet]. Collegeville: Liturgical Press, 2004.